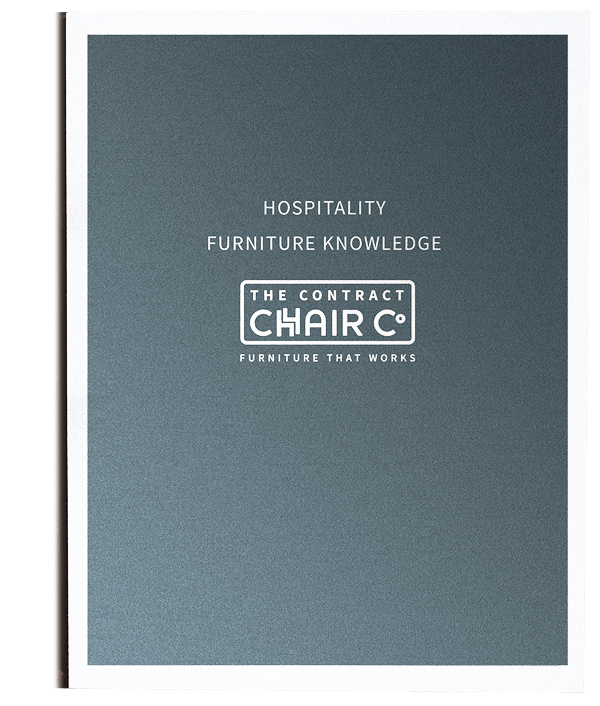 Legal requirements about the fire-resistance of furniture specified for the UK hospitality industry are contained in The Regulatory Reform (Fire Safety) Order (RRFSO) – which is not to be confused with the Furniture and Furnishings (Fire Safety) Regulations (FFFSR), covering furniture for domestic use. This all-encompassing approach means that the RRFSO does not actually specify precise ignition resistance requirements for furniture. The last of these is tested using small stacks of wood - eg. a Crib 5 or a Crib 7 stack. If a product passes a particular test, it is categorised according to the table below. 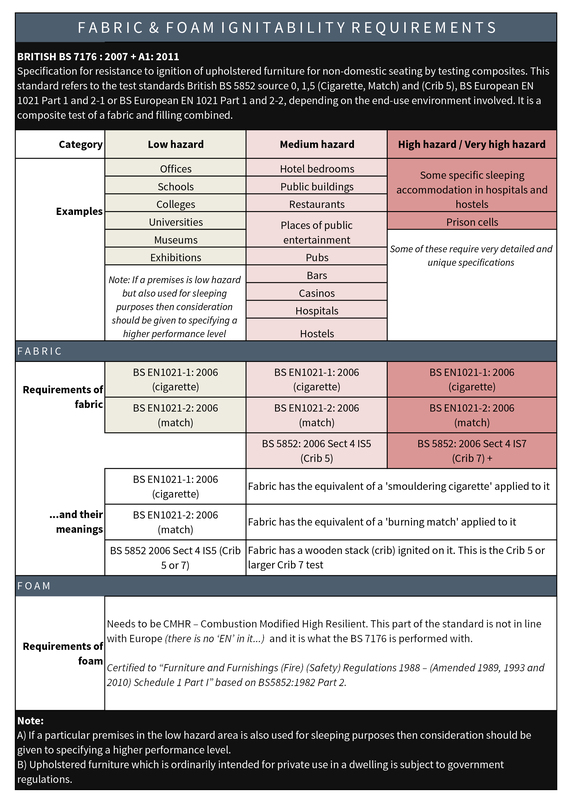 BS7176 also groups types of premises, categorising them by the level of fire hazard (how high the fire risk is perceived to be), again set out on the table below. The table gives a clear guide for the Responsible Person (and a good indicator for specifiers of furniture in general). 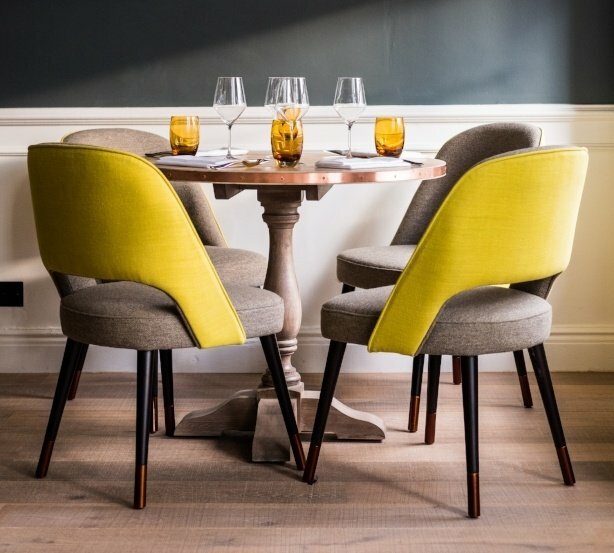 The Contract Chair Company will supply fabrics and foams that meet the fire-resistance requirements that are specified to us. We can also arrange for most fabrics to be treated to increase their fire-resistance - view our blog on treating fabric to Crib 5. If fire-resistance requirements are not specified it is important to note that we are not required by law to supply furniture that would pass particular fire-resistance tests. With thanks to Paul Vaughan from FIRA for contributing his expertise to this article. We're more than happy to answer any questions you have on the information above. We know that fire regulations and furniture ignitability requirements will vary from project to project and it's important to get it right. We also offer design practices free CPD training on health and safety topics such as fire retardants and furniture testing. Learn more here. 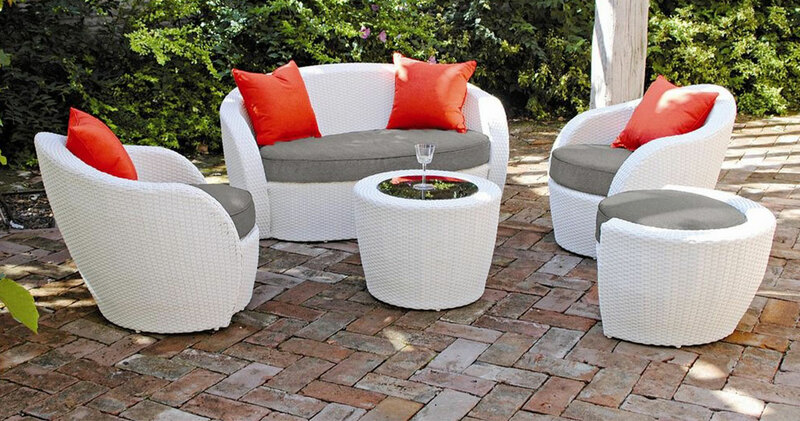 A bit of extra care will allow your outdoor furniture to look for longer. Plastic furniture, woven furniture, metal furniture, teak furniture and outdoor cushions all have different care requirements. Make sure you know which you need as some products can be damaging to certain materials. A roundup listicle of the top 10 most viewed furniture on our website in 2017 with a few furniture trend predictions for 2018 which include a revival of chrome, copper and rose gold, more metal frames and capped feet, and a continuation of retro designs in velvet we've been seeing this year. 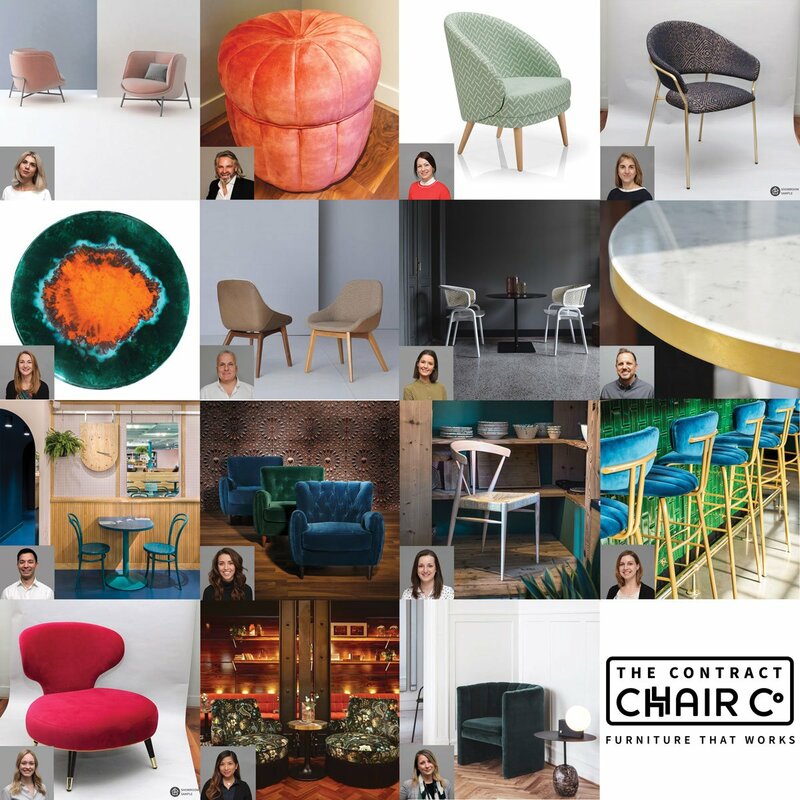 Our sales and account managers pick their favourite product of the year, from new chairs & new table top materials to timeless designs, because classics never die. 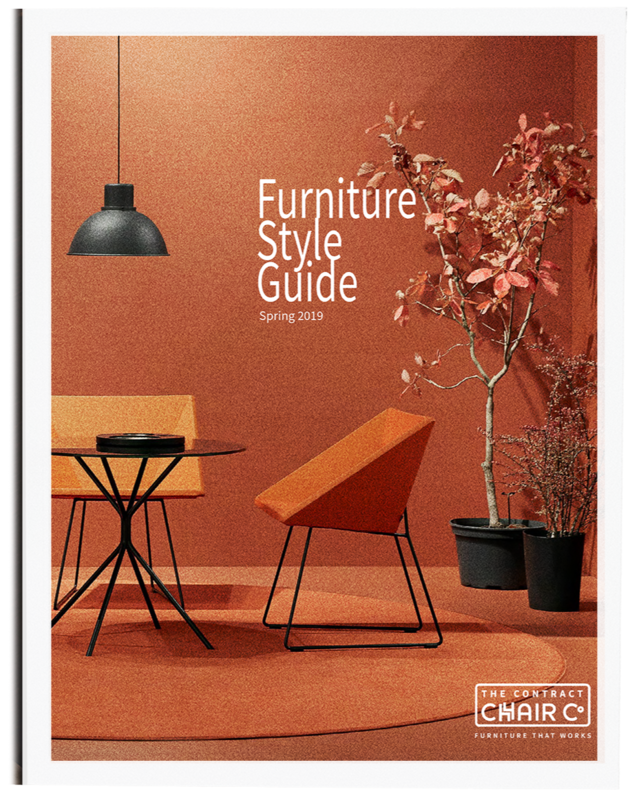 We also make a few predictions for hospitality furniture trends in 2019 & look back at how accurate our predictions were for this year.